This is the best Date Bundt Cake Eggless I've ever baked. My family was super impressed. 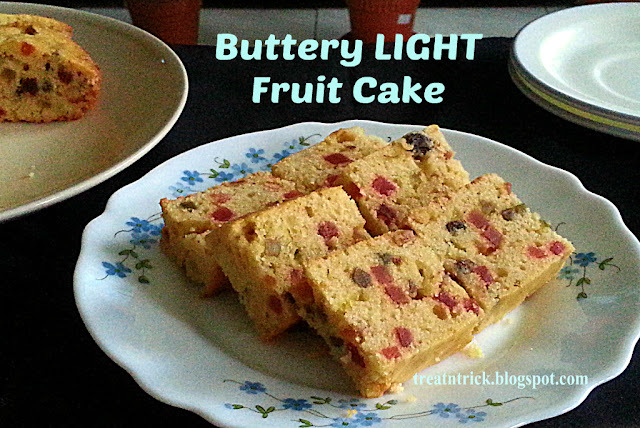 It really has a great consistency and smells wonderful while baking.. This cake slices nicely and looks so appetizing served on pretty plate. 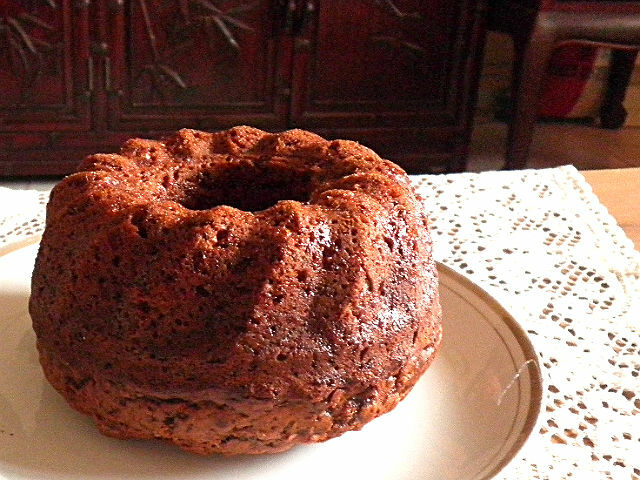 Date Bundt Cake Eggless would make a great dessert for dinner party or picnic. Place water, butter and dates in a pan. Heat the mixture until butter melt, slightly simmer for 1-2 minutes. Add in baking soda and mixed spice, stir well. Preheat oven @ 180 C, grease 7 in bundt pan. While still warm. mix in flour and sugar, combine until well incorporated. Pour the batter into prepared pan and bake for 30-40 minutes or until a skewer inserted comes out clean. Let sit in the pan for 10 minutes, transfer onto rack to cool. This looks gorgeous and moist. Great job on it. There's something about bundt cakes that just makes me happy. gorgeous.......and i love the fact that you make these gorgeous bakes eggless! This cake is just like an eggless version of sticky date but with just as much moistness - a wonderful recipe! You always delight us with simple yet delicious looking cakes. Very delicious and nutritious looking. firstly... loving the new blog... it looks incredibly sophisticated!... secondly... wowzer, what a cake... and eggless too, genius!... it looks so thick and yet still fluffy... the work of a true genius! Wat a super moist cake,irresistible. 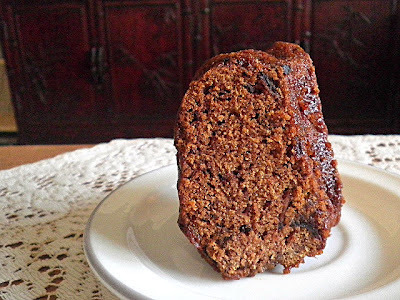 Never made dates cake without egg..it luks so delicious..
super delicious and moist cake.. Thank you for sharing this recipe, my family adore dates so I may just give this a try, thing is I havent a bunt tin so will a normal cake tin do the same job? This is such a healthy and yummy cake! Looks lovely! OMG....que maravilla de cake su versión es una exquisitez,abrazos hugs,hugs. This cake looks delish, I must give it a try! Wonderful picture!! Look beautiful, it sure would taste delicious. Would try it out someday. Oh yumm this looks so good! 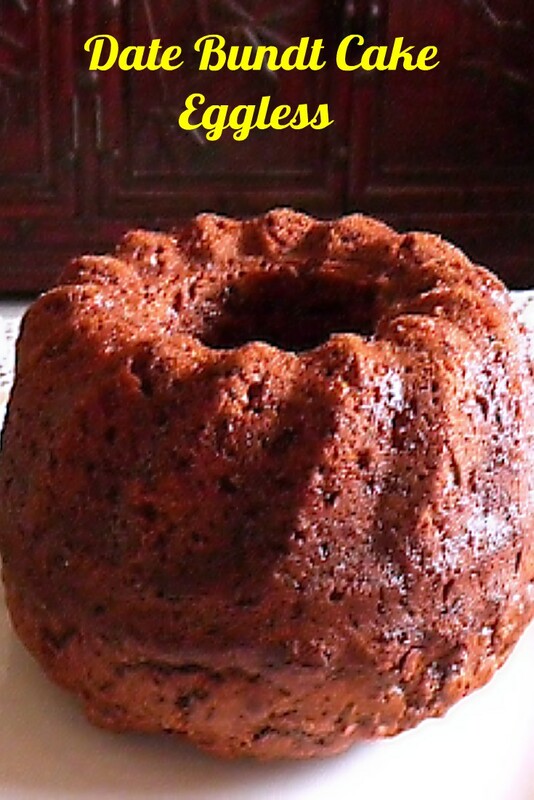 I love different bundt cakes, and I have never heard of a date one! I love dates, and this sounds delicious! Very beautiful and gorgeous slice of cake...looks perfect! If you say this's the best, I need to try it! Looks awesome! Looks great! I have a family member who is allergic to eggs, so I'm always thrilled to find delicious eggless recipes. Thanks for sharing at Thursday Favorite Things! I'll be featuring this delicious looking cake at Thursday Favorite Things tomorrow. Thanks for sharing!